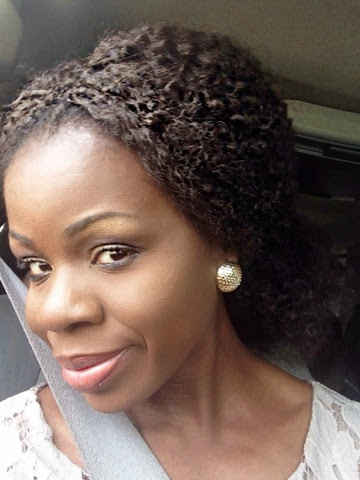 It is that time of the year again for protective styles. I was getting bored with my hair anyway, so I decided to put it away lest I damage it with over- manipulation. I just love Marley hair. 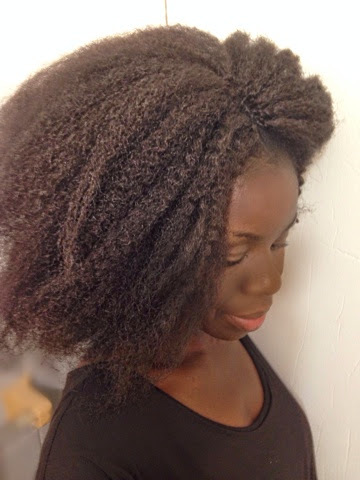 The Janet Collection brand (noir) is very soft and believable, since the texture is close to type 4 hair. I separated each strip of Marley hair into two before crocheting. After installing the hair, which took only 4.5 hours (as opposed to the first time when I spent 13 hours or so), I decided to go for a wavy look. So I used yarn to wrap small sections of the hair. 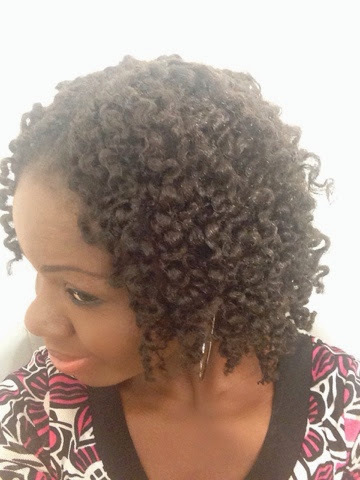 I used the Corkscrew method to get tight curls but that was a big fail. Some of the sections did not curl properly and dry completely. I was pressed for time, so I gathered the big hair into a low ponytail, as shown above and called it a day. 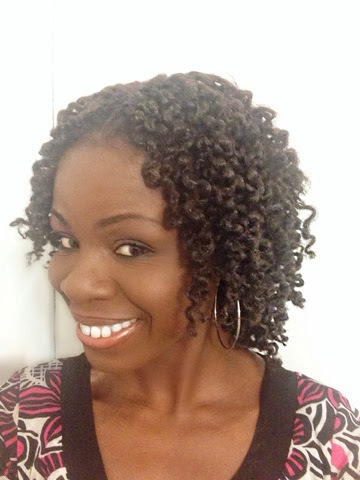 Later on, I installed two strand twists all over, which I wore for a few days. But I was not feeling those twists at all. 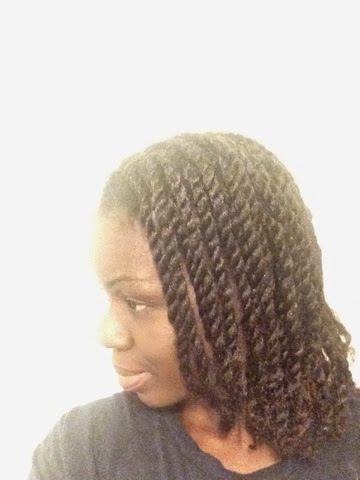 If I wanted twists, I would not have installed using the crochet method.. So I tried using Yarn again to curl the extensions. 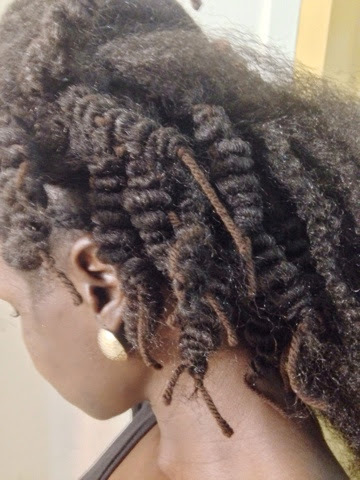 I was so confident that it would work better on twists than loose hair. I was right. 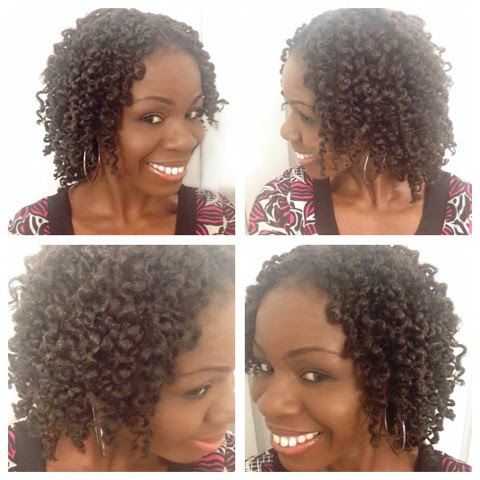 I got fabulous tight curls using yarn to curl Marley Crochet braids. I used the corkscrew method again. I added coconut oil to the hot water before dipping the hair, hence the great shine you see. It took me 1.5 hours to curl the hair because I dipped them individually. I absolutely love it. I have a video which I promise to upload in less than two weeks, if you are interested. 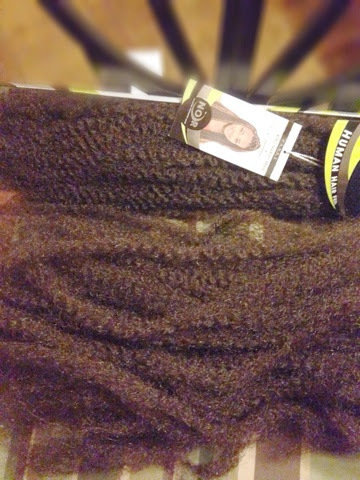 I only untwisted the twists after removing the yarn. I did not separate any further because I wanted the volume to increase naturally as it gets older. Besides, my hair was still wet when I separated the twists. If I had separated further, it would have been "frizz town" all over my head. I will post more pictures of what it looks like as it gets older. I don 't think I would keep these for more than a month because I am not washing this hair. 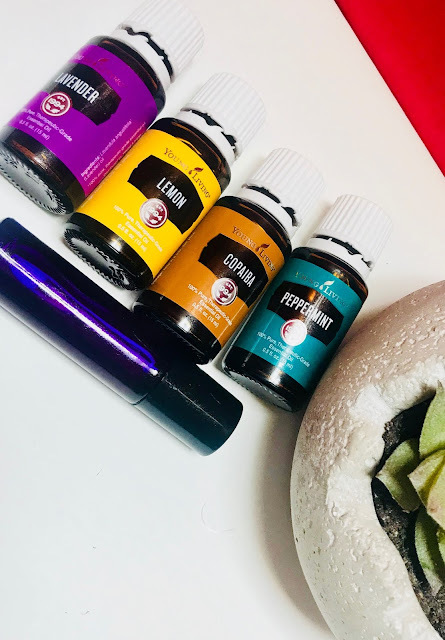 I will be using diluted Apple Cider vinegar to treat my scalp a couple of times per week. I will post more on maintenance soon. So beautiful! Wish I had the patience to complete such a style. I swear my arms start hurting after they've been up in my hair for 5 mins!